Last Chance to Save $20 Off at Peapod.com! Last chance to save $20 with Peapod’s Cyber Monday offer that is expiring tomorrow! Customers will get $20 off their first order at Peapod.com with code CM20AFF at checkout. Hurry, this deal only lasts until November 29th! $20 off your first order at Peapod.com with code CM20AFF at checkout. Some exclusions apply. Offer valid through 11/29. About Peapod: With more than 10,000 popular-and house-brand products for shoppers to choose from, Peapod’s virtual shelves are brimming with all of your grocery essentials plus farm–fresh produce; restaurant-quality meats and seafood; deli meats and cheeses, sliced to order; Kosher, organic and specialty foods and much more! As the nation’s leading Internet grocer, Peapod serves 24 U.S. markets and has delivered more than 22 million grocery orders since its founding in 1989. PRESALE: Ringling Bros. and Barnum & Bailey® Presents BUILT TO AMAZE! $12.00 Tix….Hurry!!!!! Calling all New Jersey residents: Ringling Bros. and Barnum & Bailey® Presents BUILT TO AMAZE is coming to the Meadowlands IZOD Center. The show will run from Wednesday, March 6, 2013 to Sunday, March 10, 2013. Their is a presale going on right now where you can snag your tickets before the tickets on go sale to the general public. They have opening night special tickets for only $12.00. These tickets are sure to go fast, so take advantage of the presale and get your tickets today. Use the code ACCESS to unlock your tickets, before they go on sale to the general public on Monday, December 17, 2012. Ringling Bros. and Barnum & Bailey® Presents Built To Amaze!℠, the 143rd edition of the Greatest Show On Earth. Surprise and wonder delights audiences with over the top feats of strength, agility and courage. As the momentum builds so does the anticipation, anything can happen when Ringling Bros. Presents Built To Amaze! Black Friday is here and Peapod is offering a fantastic promotion! Starting today, customers will get $20 off their first order at Peapod.com with code BF20AFF at checkout. Hurry, this deal only lasts until November 27th! $20 off your first order at Peapod.com with code BF20AFF at checkout. Some exclusions apply, see site for details. Offer valid 11/23 to 11/27. Thanksgiving is this week Thursday and here are the coupons that are still available to help you save money on your dinner. Many of us here in the northeast are still recovering from Hurricane Sandy and the nor’easter that slammed us back to back. Even if you are not planning to do a dinner, these coupons are great for you to get items real cheap that can be donated to your local food pantry. Many people in the Rocaways, Staten Island, Brooklyn, and New Jersey are still displaced and every bit helps. My daughters’ school is having a canned goods drive and I’m using many of these coupons to get the donation items on the cheap. People love an adrenaline rush, which is why we play extreme sports and go bulk shopping. Go big with this Groupon. The race takes place on Saturday, November 3, in East Windsor, New Jersey. Gates open at 7 a.m. Wave times start every half hour, from 9 a.m. to 5 p.m. Race participants should arrive two hours prior to their designated start time. Though The Zombie Mud Run sometimes features a discounted price online, this Groupon still offers the best deal available. 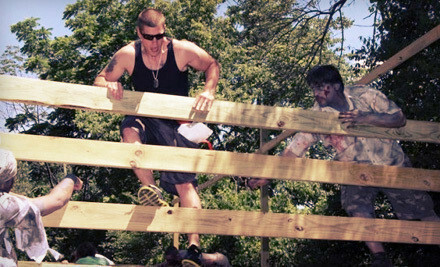 The Zombie Mud Run finally gives people an incentive to exercise—the survival of their species. Amid forested trails, muddy creeks, and challenging obstacles, participants of this post-apocalyptic 5K face off to either save the human race or feast on human flesh, respectively. Clad in a flag-football belt with three flags that represent their brains, heart, and entrails, human participants race to get themselves and their fellow living athletes to the Green Zone, which grants salvation in the form of food, water, music, and beer. Meanwhile, costumed zombies—each of whom are either slow-moving “creepers” or fast-moving “leapers”—positioned along the race course pursue the humans to devour their organs or simply return that contact lens they dropped a mile ago. Human runners who reach the Green Zone with at least one of their flags survive. In 1905, the Reverend James E. Lake built a grand Victorian home in Ocean City, New Jersey, the resort town he and his brothers founded some 26 years before. Rev. Lake’s house still stands today—it’s now the Atlantis Inn Luxury Bed & Breakfast, which holds a 2012 Certificate of Excellence by TripAdvisor, and it brims with Old-World details such as the gables and turrets on the rounded exterior. Inside, an original grand circular staircase fills the entryway and chandeliers dangle from the high ceilings in the dining room and common areas. The hotel is also located just steps from Ocean City’s historic boardwalk, which is lined with mini-golf courses, amusement parks, and a concert hall. 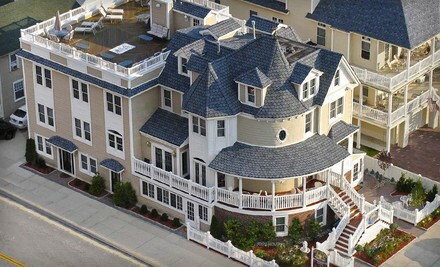 You can get sweeping views of the boardwalk and its brightly lit Ferris wheel on the inn’s mahogany rooftop deck. Each of the suites has decor influenced by European locales. The wrought-iron bed in the Biarritz, for example, was inspired by the Charlemagne collection of France. The Cinese-Avignon suite has an in-room fireplace, and all suites feature two-person jacuzzis. In the morning, head down to the sunny dining room for a full American breakfast of coffee, pastries, and fresh fruit. A short walk from Atlantis Inn Luxury Bed & Breakfast brings visitors to Ocean City’s 2.5-mile boardwalk, which is packed with beach-themed shops, family amusements including mini golf and rides, and old-fashioned ice-cream and candy shops. Just about a 25-minute drive away from Ocean City, you can see the bright lights of Atlantic City come into view. There’s a wealth of casinos here and a lively boardwalk. On the boardwalk, it’s worth it to check out the Absecon Lighthouse, which is more than 150 years old. It’s possible to climb its 228 steps to the top, which features sweeping views of the city skyline and the sea. Down at the base, you’ll find a replica of the original light keeper’s lonely cloister and the collection of sock puppets he created to keep him company. 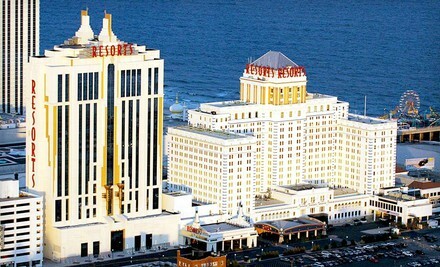 Towering above the gentle waves of the Atlantic and the famed Boardwalk, Resorts Casino Hotel in Atlantic City dazzles onlookers with 1920s-style architecture befitting the glitz and glamour inside. Fanciful marble and gold-leaf detailing adorn the spacious lobby where high-rollers and partiers filter in. The resort’s Jazz Age feel extends to the casino floor, as the so-called “Gatsby Girls” meander through, toting trays full of cocktails. Resorts Casino Hotel’s seven dining options include Capriccio, where you can enjoy elegant Italian food amid Old-World lanterns and soaring white columns. For after-hours entertainment, check out any of the resort’s themed nightclubs, ranging from Pro Bar, an LGBT-friendly casino nightclub, to The Whiskey Bar—formerly Torch—an upscale watering hole with an impressive selection of premium scotches and whiskeys. To take advantage of the included show tickets, head to the hotel’s 13th floor. You can choose from a number of revues and productions, including Girls Night Out: The Musical, set to ’80s and ’90s hits, and Divas Do AC, a drag show featuring a rotating cast of impersonators. On the boardwalk, it’s worth it to check out the Absecon Lighthouse, which is more than 150 years old. It’s possible to climb its 228 steps to the top, which features sweeping views of the city skyline and the sea. Down at the base, you’ll find a replica of the original light keeper’s lonely cloister and the collection of sock puppets he created to keep him company. Proving further that Atlantic City isn’t all nightclubs, boardwalk, and casinos is Gardner’s Basin, a maritime village along the bay. Here, a community of artisans uses seashells and driftwood to hand-make items such as wind chimes and picture frames. However, the Basin’s biggest claim to fame is the 25,000-gallon Atlantic City Aquarium swimming with turtles and rays. Ever wonder what comes alive when the sun goes down? At this traveling exhibit, you’ll get the chance to look for glowing green scorpions, super silent owls or even fish hunting in dark waters. Travel through the dark by flashlight and find out how animals adapt to the night. Learning a new skill is useful, especially if it means a promotion to a front-of-the-horse costume. Go to the head of the class with this Groupon. The detailed academic evaluation accounts for each student’s strengths and weaknesses. It takes about an hour for non-readers, and about three hours for everyone else. Tutoring sessions aim to give students a taste of success, and therefore begin at a difficulty level that’s slightly below the student’s current aptitude. 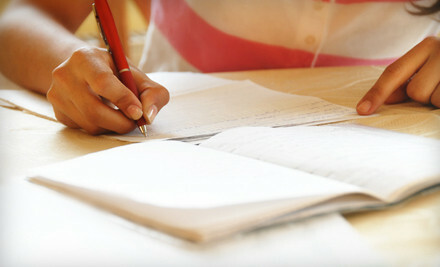 As students reach various objectives, the tasks become more difficult. Non-readers generally receive one-on-one tutoring, whereas most others meet in small groups with no more than a four-to-one student-to-teacher ratio. This Groupon’s value can also be applied toward full academic skills and subject tutoring courses, with a minimum of 28 hours for SAT/PSAT and ACT exam prep courses. In the late 1970s career educators Eileen and Raymond Huntington opened the first Huntington Learning Center in Oradell, New Jersey. Their goal was to take an individualized approach to education, adjusting instructional tactics according to each student’s set of needs. 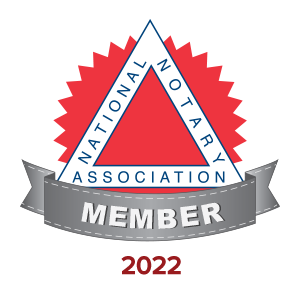 Their success in helping K–12 students prepare for exams and improve grades and study skills quickly spawned franchises across New York and New Jersey. Today, the certified Huntington tutoring staff utilizes testing and rubrics for assessing each child’s skills, academic needs and potential for growth. The teachers even note the student’s behavior in different testing and academic situations to craft a methodology sensitive to each child’s learning style. Teachers also adhere to the company’s code of ethics that stresses professionalism and confidentiality and encourages pupils to improve their grades honestly through dedicated study rather than shortcuts. Paintball is like a production of Hamlet: it’s exciting, it’s demanding, and by the end everyone has pretend-died. Take paintball arms against a sea of troubles with this Groupon. Battles take place year-round during standard hours from 9 a.m. to 4:30 p.m. Saturday–Sunday with no appointment required, and for groups of 10 or more by appointment only daily. 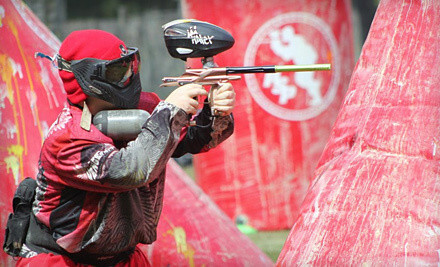 Across the woodsball fields and speedball arena of Long Live Paintball, contenders dodge the colorful fire of their opponents as they leap over cable spools and post up behind a charred bus or towers of barrels. It’s on these obstacle-ridden grounds that dye-slingers compete in elimination-style games or battle to complete a given mission, such as capturing the adversary’s flag and using it to pick popcorn kernels out of their teeth. Admission rates range from simple entry fees for the fully equipped to all-day Gold packages that supply players with a marker, 500 paintballs, and all the other necessary provisions. Rentable chest protectors cushion trunks from crossfire, and disposable camo cuts down on the time players spend fusing their DNA with that of a tree. Although the field is generally first-come, first-serve, the staff can prepare for parties of 10 or more with an advanced reservation. When neglected for long periods of time, cars may act out by sleeping in the street and consorting with tractors. Give your car attention while you’re away with this Groupon. DropUp service is also available for an additional $35. Located less than one mile from Newark Liberty International Airport’s terminals, Park Plus Airport Parking shelters autos as their jet-powered brethren ferry passengers in and out of town. 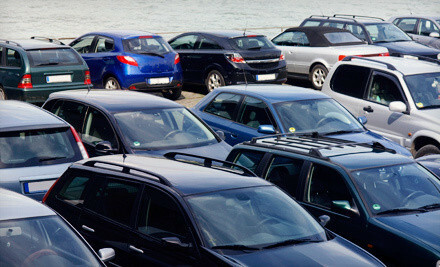 Drivers drop off their vehicles with sure-handed valet attendants, who carefully guide the steely steeds to secure parking spots with ample room for asphalt grazing. A complimentary 24-hour shuttle arrives at the lot regularly to transport flight-bound passengers and their luggage to the terminal in about two minutes. Upon return, customers can reclaim their rides by calling the phone number printed on their claim checks or warbling in tones that correspond to their cars’ particular honks. Customers may also opt for Park Plus’s exclusive DropUp service, which features chauffeured rides to and from the airport in the comfort of their own cars. For an additional cost, a car-wash service primps and pampers vehicles while their owners are away. Like a rebellious older cousin or a speed-limit sign with a question mark, a sports car dares you to drive faster. Accelerate safely with this Groupon. $59 for a three-lap supercar ride-along experience (a $177 value). 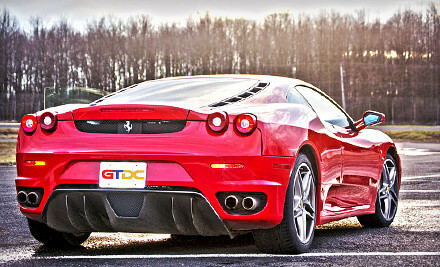 Groupon holders may choose from the Ferrari F430 or Lamborghini Gallardo. Old Bridge Township Raceway helps drivers unleash automotive urges upon a 1.35-mile road course boasting a 1,400-foot straightaway. As spectators cheer on riders and drivers or look for lost contact lenses, the can relax in a lounge and enjoy flat-panel TVs and purchasable snacks. For an additional fee, GT Dream Cars will videotape experiences before transferring them to a take-home DVD/CD. The New Jersey track is easily accessible from New York City via New Jersey Transit. Clients can take a bus or train from Penn Station to Matawan/Aberdeen, where GT Dream Cars staff offers pickup and drop-off services for a $28 fee. Alternatively, the raceway is about 40 minutes away by car from downtown, or seven days by tortoiseback. GT Dream Cars unleashes its elite fleet of exotic sports cars on a temporary basis to help add a touch of luxury, beauty, and raw power to an afternoon. The lineup of swanky steeds includes the powerfully sleek Aston Martin Vantage, the luxurious Bentley Continental GT, the Ferrari F430, the Maserati GranTurismo, or the Lamborghini Gallardo, with the power of 550 horses or 78 furious mastodons. Inside car cockpits, drivers blast down the straightaway and deftly maneuver turns with the ease of a bobsled team weaving down a water slide. 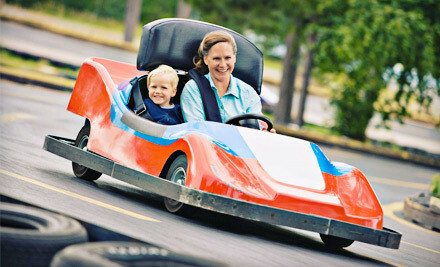 The first go-kart-racing track was a circle because it was designed to teach children how centripetal force feels without rolling them down hills in tires. Learn circularly with this Groupon. The masterminds behind Keansburg Amusement Park, located just off the beach, oversee a park designed to turn a day out with the family during warm weather months into a mini vacation. By dotting the park with roller coasters, go-karts, arcades, and classic boardwalk fare, the owners seem to have realized their vision while also addressing the interests of different-aged groups. Kids ride the colorful Jolly Caterpillar before he presumably morphs into a butterfly at closing time, and whole families catch panoramic bay views from the top of the roller coaster. With its more than 35 rides, the park has garnered accolades such as Best of New Jersey from the readers of NJ Monthly Magazine, as well as a 2011 Best of Monmouth County from the readers of Asbury Park Press. 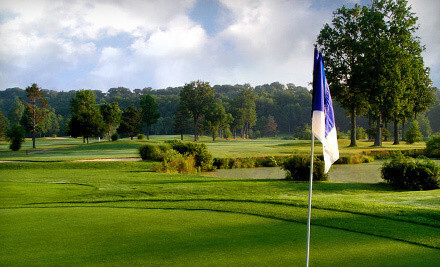 Playing a round of golf is a contest between man and nature, much like betting a tree it can’t drink a gallon of milk. Pit yourself against the elements with this Groupon. The pristine, recently renovated fairways at Meadows Golf Club snake around 12 ponds that vary in size and factor into play-making decisions on at least 14 holes. Water makes itself a prevalent threat to golf balls that are afraid to swim on the 9th and 18th holes, where larger ponds loom ominously to finish out the front and back nines. The 9th, a 240-yard uphill par 3, demands steely nerved shots over two ponds: one that stretches past the tee box to the player’s center-right and another that runs along the left all the way to the green. On the par 4 18th, players again face down a tee shot over water, this time being forced to keep their drive to the right to avoid water along the length of the fairway, as well as packs of ravenous ball washers that roam the course in search of prey. Enjoy this citywide festival celebrating the musical talent and diversity of Hoboken. Venture to one or even more of the event’s outdoor locations for performances by local artists like Hoboken Sinatra Idol Greg Myers, Drums of Thunder, Hoboken Children’s Theater and many more.Check hobokennj.org for a full list of performance locations. Free. All ages. Hello Radio, Hoboken Children’s Theater, Houndog Serenade, Ickett. Indiana Bones, Industry Standard, Vis-aVis, Lily M, Jack Skuller, Jay Loftus, Jay Mickens, Johnny Smith, Jon & Deena (from The Cucumbers), Karen Davis, Key Bumps, Kris Keyser, Kristin Errett, Levee Camp Band, Liam Brown, Lloyd United, Loretta Hagen, Midnight Mosaic, Mike Daly & The Planets, Morus Alba, Novae, Oxygen Box Band, Phil Passantino, Preschool of Roxk Rare Books, Roland Ramos, Silver Plane Crucifix, Slackjaw Blues Band, Sweeter Than Honey, TaikoZoku, The Devyl Nellys, The Porchistas, Tracy Thorne, Verbal Phantom, Vick LeCar and much more. 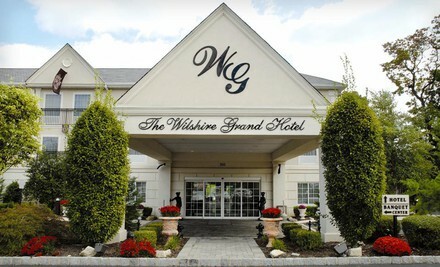 One- or Two-Night Stay at The Wilshire Grand Hotel in West Orange, NJ. Four Options Available. Growing up, chef Dominick Casolaro spent his Sunday mornings learning how to make ravioli from his grandfather. Many years later—and after earning a degree from the Culinary Institute of America—Casolaro now passes on the benefits of what he’s learned to diners at Primavera Restaurant in The Wilshire Grand Hotel. This Zagat-rated eatery serves up traditional Italian dishes such as the chef’s original rock shrimp with extra fish veloute sauce. The dining credit included with this Getaway can also be used for everything from pappardelle con salmon ($17.95) to veal scaloppine with eggplant ($19.95). The hotel does its part to keep bellies full throughout the day. In the morning, a complimentary breakfast buffet includes homemade baked goods and a make-your-own belgian-waffle bar. At night, you can make a snack of fresh popcorn and an array of specialty toppings. And at the manager’s reception held every Monday–Thursday, guests are served hors d’oeuvres and wine. Superior king guest rooms feature luxurious touches such as triple-sheeted pillow-top beds, and the jacuzzi suites boast jetted tubs in full marble bathrooms. Downstairs, the garden-side patio is outfitted with a grill and ample seating space, and a 7-foot putting green makes an ideal spot for staging long-jump competitions for squirrels. For offsite adventure, rent a beach bike from the front desk and check out Verona Park, located less than a mile away. West Orange is located 30 minutes from Manhattan in northern New Jersey. By far the most celebrated person ever to call the town home was Thomas Alva Edison. At the Thomas Edison National Historical Park (3 miles from the hotel), you can tour the inventor’s laboratory and 29-room mansion. The house contains many of its original furnishings as well as a copy of Edison’s patent for the electric slide. Bordered by vast nature preserves and scenic parks, West Orange features a lot of wide-open green spaces. The 2,000-acre South Mountain Reservation is a great place to picnic, hike, or fish. For a spectacular view of the New York City skyline, head 2 miles south to Eagle Rock Reservation, where a former cliff-side casino now houses a fine-dining restaurant. A collection of six surrounding golf courses further enhances the town’s emerald hue.